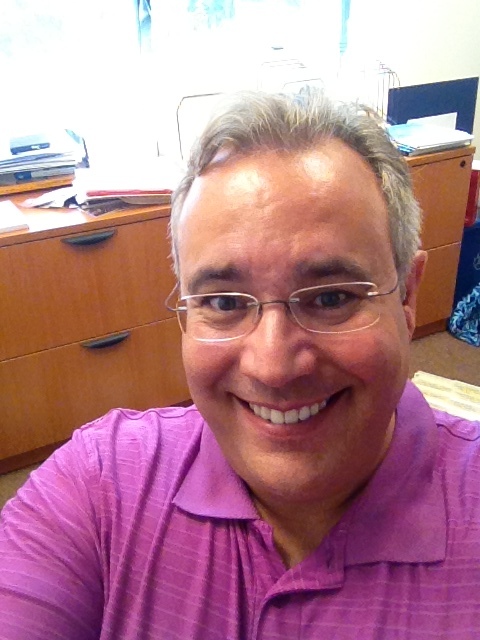 Peter Grazzini, the owner of Perfect Settings, is just like any other corporate head: he is constantly looking to save money for his $14 million dollar company based in Landover, MD. But for the past four years, he has been constantly thinking of new and innovative ways to reduce his environmental impact while also saving his company many thousands of dollars each year. Since 1998, Perfect Settings has been providing gorgeous linen and premium and contemporary flatware, china, glassware and other tabletop accessories to caterers, event planners, venues and private individuals in the Washington, DC metropolitan area and throughout the United States. So what prompted Peter to go green? While on a buying trip to China in October 2008, he experienced several things that disturbed him. First of all, there was a large bird cage in the lobby bar of the hotel where he was staying. The cage contained approximately 100 birds and of course the birds were really loud. Peter asked his server to be moved further away from the cage so that he could carry on a conversation. He then inquired why there were so many birds. The server explained that there were no birds in the cities of China and that it was considered a luxury to hear them sing. When Peter inquired why there were no birds in the cities, the server explained that the air pollution made it difficult for the birds to breathe and more importantly, insects, a major source for the birds, could not survive with the pollution. This was the first time that Peter had ever considered the effect humans are having on the environment. It was a shocking realization that opened Peter’s eyes and caused him to notice more things on his trip that year. For example, he spent 8 days in China and never saw the sun, even though it never rained. For 8 days, he looked for birds and insects and never saw one. On his way home, he watched Al Gore’s An Inconvenient Truth and that was the straw the broke the camel’s back. Peter has been trying to lessen his company’s impact on the planet ever since. As a former event producer who concentrated on sustainable special events, I know that the rental industry is somewhat green by design since items are used over and over again. Nonetheless, there is still a lot of waste and Peter Grazzini is working to minimize that waste. When someone rents linens from a party rental company, the linens are delivered on hangers and covered in plastic just like your dry cleaning. Similarly, plates, silverware, glassware and just about every item a rental company delivers to you comes wrapped in shrink wrap to protect it when it is transported from the rental facility to the venue. Peter had the enterprising idea to collect all the shrink wrap and plastic bags and then bale and recycle them. His company also collects wire hangers for reuse and recycles all cardboard boxes. In addition, when you rent equipment from Perfect Settings, they make available recycle bins for collecting glass, plastic bottles and aluminum cans. So even if your event venue does not recycle, you can still recycle thanks to Perfect Settings. Another innovation of Peter’s involves the use of high cocktail tables. You’ve seen these at events. 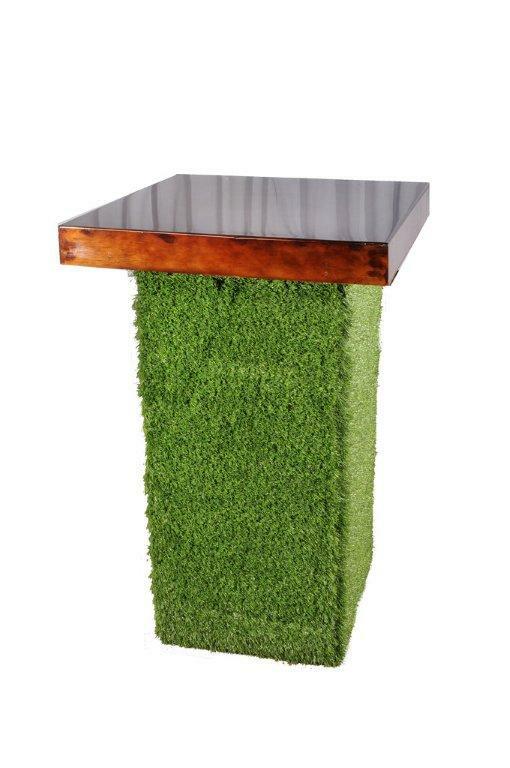 It’s a table you typically stand at during a cocktail reception. Traditionally, these are covered with linen, an option that can involve extra costs. For example, in addition to the cost to purchase the material – much of which is premium, high quality fabric – you have the labor cost to sew the linen in assorted sizes to pair with tables in assorted sizes. After the linen is used, you have the cost to clean the linen which includes electricity, water, cleaning solution and of course more labor. As an alternative, Peter offers metal tables which cost less for the renter since a table linen is not needed. By not requiring a full table linen, less water and electricity are used and as a result, Peter is able to pass on the cost savings to the renter. While the metal tables are often wrapped with fabric, the amount is much less: 2 yards vs. 10 yards for a traditional table linen. In addition, the tables are virtually indestructible and Peter uses eco-friendly materials whenever possible. 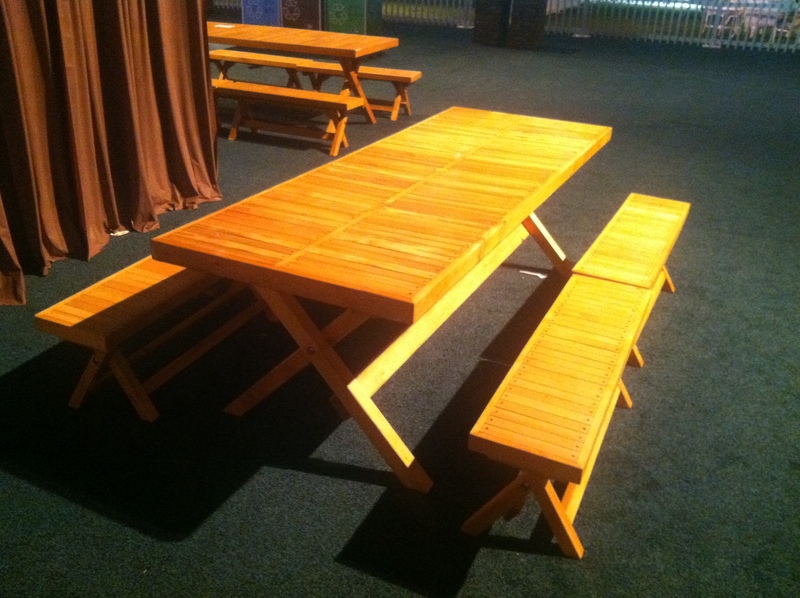 Another example of how Peter is always looking for the more sustainable option is the picnic tables he recently acquired through Forever Redwood in California. The company reforests old growth redwood forests that were clear cut in the 1920s and 1930s and then makes picnic tables from fast-growing oak, birch and walnut trees that block the sun and prevent growth of baby redwoods. Reinvention is also a part of Peter’s vocabulary. Rental equipment is often delivered in milk crates lined with clear trash bags that are much larger than the actual crate. Peter realized how wasteful this was since less than half the bag was actually being utilized. As a result, he found a manufacturer to create him a bag that is 60% smaller than a regular trash bag and is also biodegradable. As a result, he saves 6 cents per bag or $18,000 a year compared to when he was using the larger sized bags! Peter has re-engineered how he washes all the dishes he rents for special events. By washing the cleaner dishes first, with a LEED-approved dish wash, a load lasts longer. Like most green companies, Peter is conscientious about his lighting costs. His 165,000 square foot warehouse, which once belonged to Giant, is open nearly 24 hours a day, 7 days a week. Since some sections of the warehouse are used more frequently than others, Peter installed motion sensors to save on energy costs. And like many green companies, Perfect Settings is 100% wind powered thanks to Clean Currents. As you’d probably suspect, even the vehicle Peter drives is eco-friendly. He now drives a Chevy Volt and proudly boasts that at the 10,000 mile mark, he had only used 7 gallons of gas. 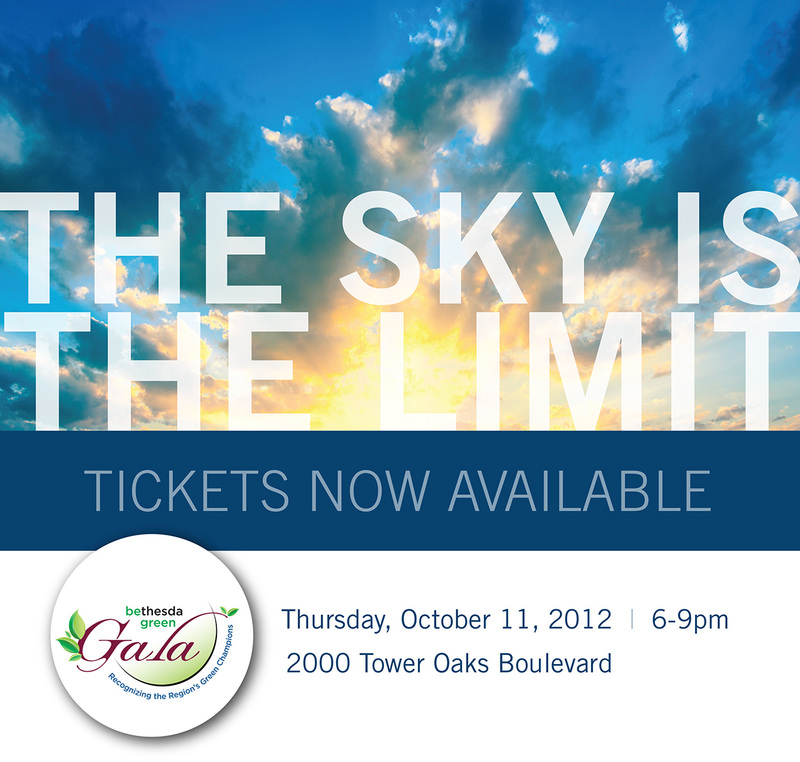 For third year in a row, Perfect Settings is a top level sponsor for the Bethesda Green Gala. Take notice of the gorgeous table linens, dishware, glassware and other equipment used to make the gala look beautiful. And be sure to say hi to Peter. Lori Hill inspires people to add green to their lives. Visit her website for more information.